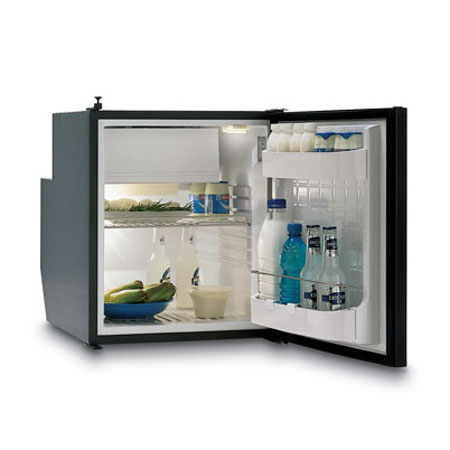 All of the Vitrifrigo compressor fridges below operate on 12 volt and 24 volt DC, making them very economical to run. Please click on any of the images below to reach more detailed pages on each of our Vitrifrigo caravan, motorhome and boat compressor fridge range. 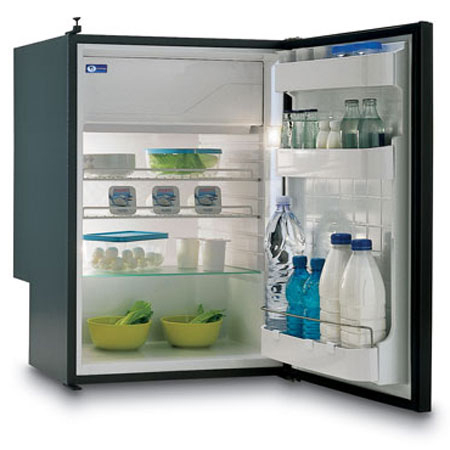 Most Vitrifrigo fridges are in stock and sent on a next working day delivery service. 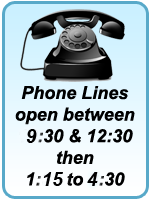 For advice call 0151 334 0222. A 3 Way fridge take a long time to get cold. This is because they rely on convection and gravity to make the ammonia flow, the process is much slower than how compressor fridges work so these fridges takes far longer to reach temperature. 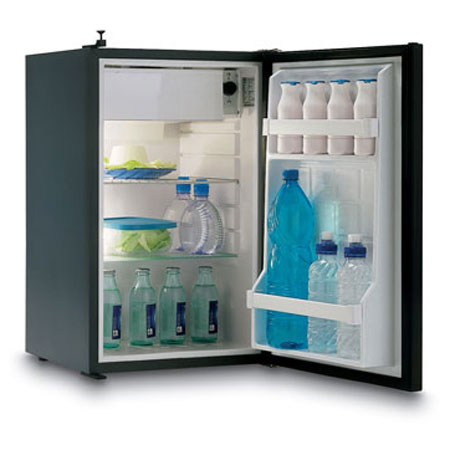 A 3 Way fridge will generate significant heat, they have to be very well ventilated and even then struggle to cope with high ambient temperatures – especially compared to equivalent size compressor fridges. 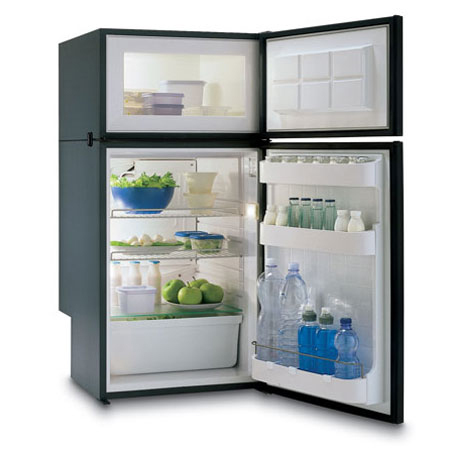 3 Way (absorption) fridges will not work on a gradient again due to the gravity required to make the process work. 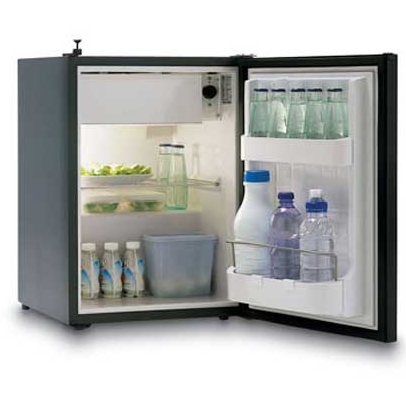 A compressor fridge is far more efficient when run on electricity 12v or 240v. 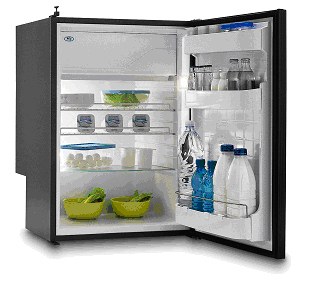 3 way fridges running on 12v will draw approximately 9A plus continuously (+9A per hour). 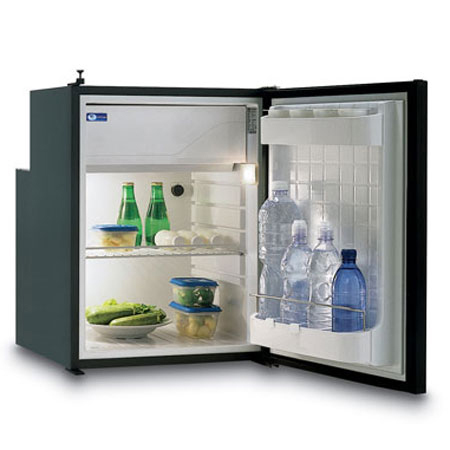 A compressor fridges power requirement can be as low as 0.4A per hour for a 40 litre fridge. 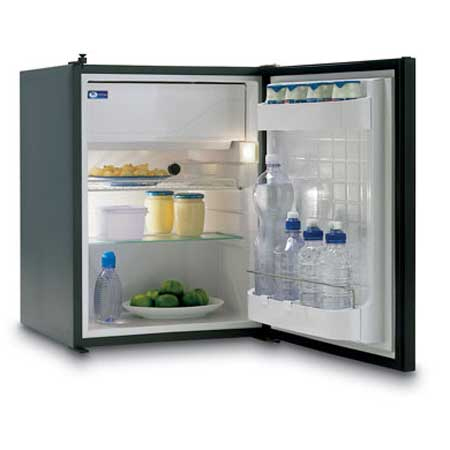 A 3 Way fridge must be vented to the outside and fitted by a GAS SAFE approved gas fitter. 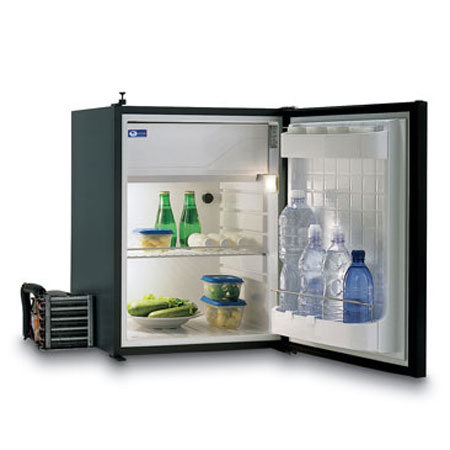 Compressor fridges will also run on solar power. 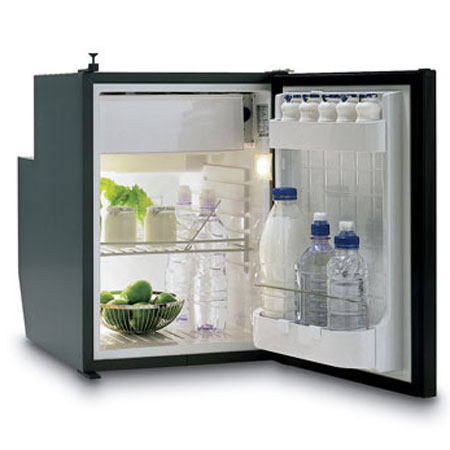 A general rule of thumb for Vitrifrigo cabinets is that approx 1Watt of solar panel will provide enough power for a litre of refrigeration, (typical UK summer). 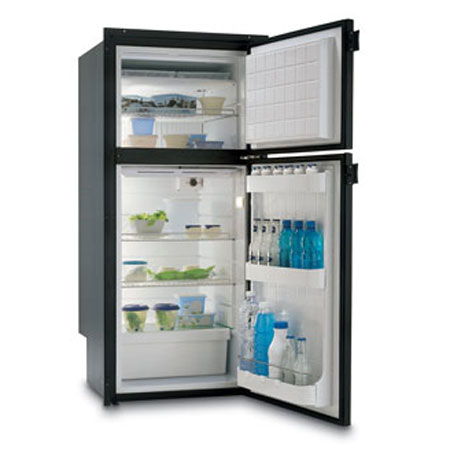 For more detailed information on any of our fridges just click an image below. 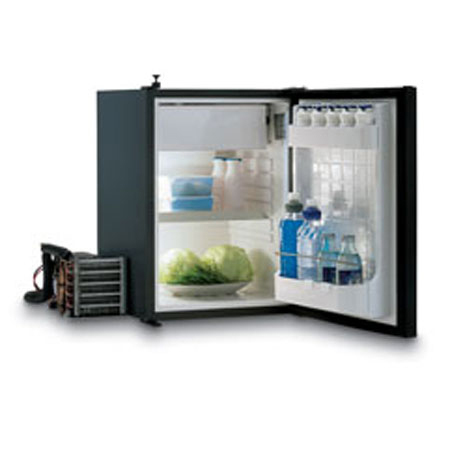 How do compressor fridges work? 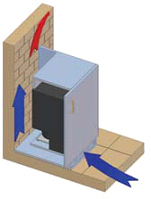 The compressor compresses the refrigerant gas which in turn raises the refrigerant's pressure and temperature. 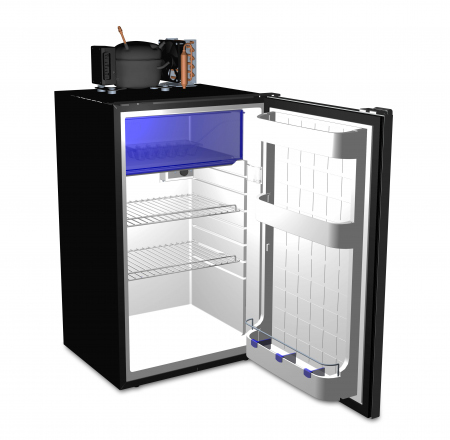 The fridges cooling unit dissipates the heat from the pressurised refrigerant. 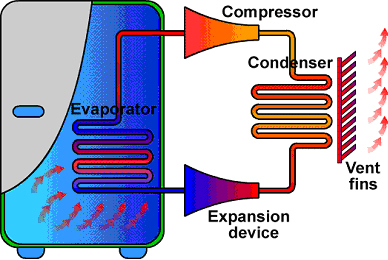 On cooling, the refrigerant condenses into liquid form flowing through a capillary tube into the expansion point in the evaporator. When flowing through the expansion point, the refrigerant goes from a high-pressure zone to a low-pressure zone, and so expands & evaporates. Evaporating, it absorbs the heat, making it cold. 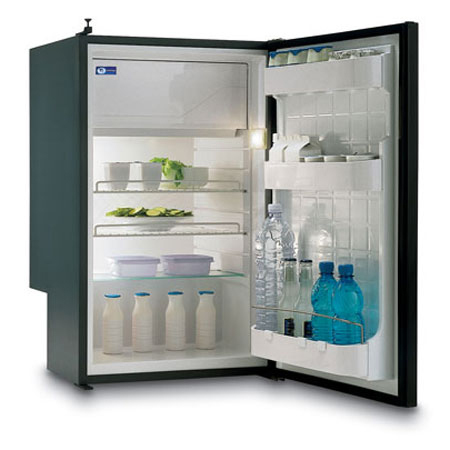 The fridges evaporator then allows the refrigerant to absorb heat, making the fridges interior cold. Where space permits you can add additional insulation to the outside of the cabinet. 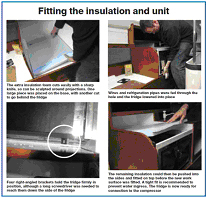 See the illustration below taken from a recent article in Practical Boat Owner on how to install a solar powered fridge. 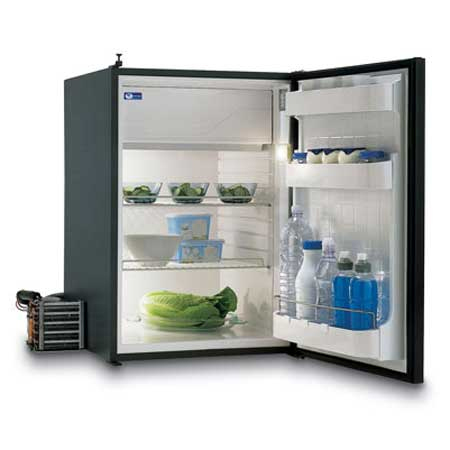 In this example additional insulation is added to improve the performance of a standard fridge cabinet (Vitrifrigo BRK35). Having selected the most efficient cooling unit to get the best performance from the fridge it is still very important to provide it with the best source of cool air to the condenser that you can. For example, a couple of floor vents close by to the condenser are ideal as they allow cool air to be drawn up from beneath the vehicle, but it is equally important to make sure that there is somewhere for the warm air to go once it has been drawn through the fridge condenser. 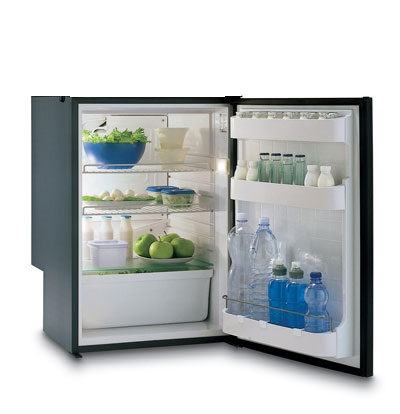 We don't just sell Vitrifrigo Fridges!